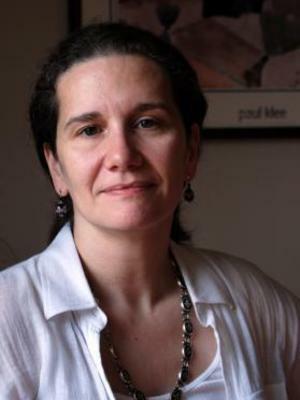 Ana Elena Puga is a scholar, translator, and dramaturg. Her research focuses on the intersection of aesthetics and politics in Latin American and US Latino performance. Theoretical research interests include cultural studies, transnationalism, globalization, human rights, gender, and race. Her current book project, Staging Migrant Suffering: Melodrama in Latin American and Latino Activism, with Víctor M. Espinosa, interrogates the reliance on melodrama in late twentieth century and twenty-first century artistic and social performances featuring undocumented migrants from Latin America, especially women and children. Research on Staging Migrant Suffering was supported by a fellowship from Stanford University’s Center for Comparative Studies in Race and Ethnicity (2010-11) and a Fulbright Research Grant (2013-14). Puga is also the author of Memory, Allegory, and Testimony in South American Theatre: Upstaging Dictatorship (Routledge 2008) and translator, with Mónica Núñez-Parra, of Finished from the Start and other Plays, an anthology of six works by Chilean playwright Juan Radrigán (Northwestern University Press 2008). Puga has published articles in the Latin American Theatre Review and Theatre Journal, among other journals. She co-founded LaMicro Theatre, dedicated to the staging of contemporary Spanish, Latin American and US Latino plays in English and bilingual productions. On the undergraduate level, Puga has taught modern and contemporary Latin American and US Latino theatre, surveys of US theatre, European theatre, and dramaturgy. Her recent graduate seminars have focused on performance as it relates to migration, exile, commodification, and circulation. Puga has Doctor of Fine Arts and Master of Fine Arts degrees from the Yale School of Drama. Her Bachelor of Arts degree is from the University of Chicago. Before becoming a scholar, Puga was a journalist for various publications, including The Dallas Morning News, the Houston Chronicle, and The Boston Globe. She was nominated for a Pulitzer Prize (1990) and was a Nieman Fellow at Harvard University (1990-91).